The Amazing Spiderman 2 is perhaps the first film ever issued into cinemas to find itself instantly 25 years out of date. 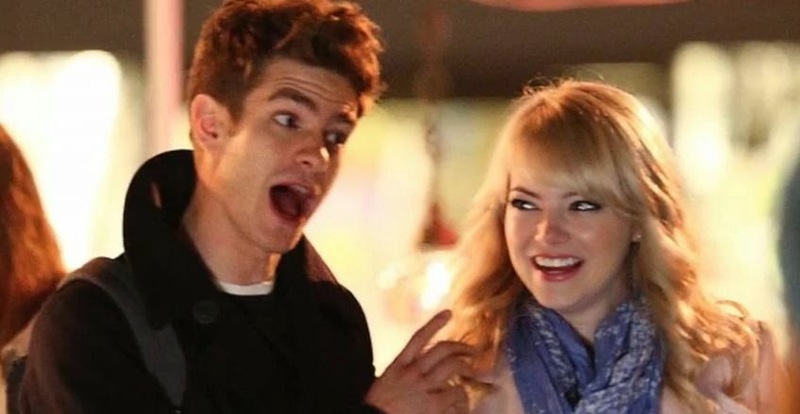 Whilst the screen chemistry of our returning leads Andrew Garfield (Spiderman/Peter Parker) and Emma Stone (Gwen Stacey) is as undeniable as it is adorable, Marc Webb has crafted a lightweight film which seems to have avariciously indulged all that is wrong with early 90s spectacle cinema. Equally importantly, the young film-maker has eschewed much of the progress being made by the Marvel Cinematic Universe in bringing their characters and creations satisfactorily into the twenty first century. 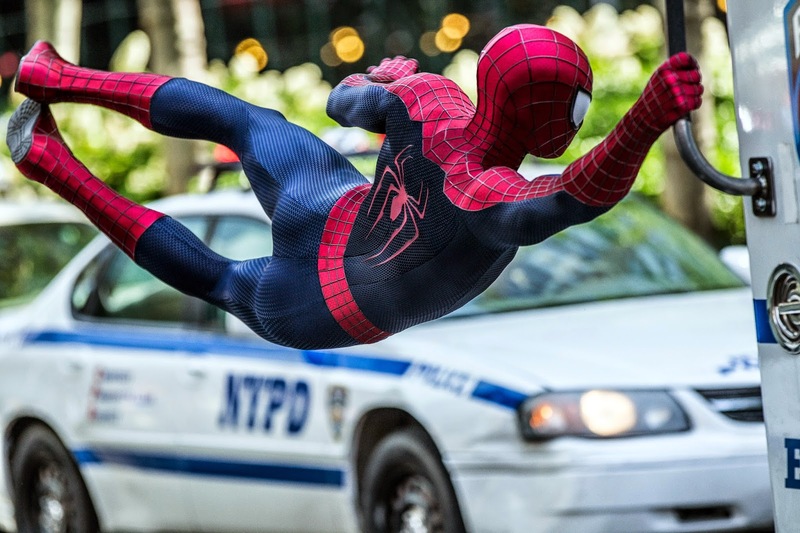 In summary, Spiderman is threatened by an array of villains ranging from the preposterous Rhino (a wasted Paul Giamatti in a presumably lucrative appearance) to the abhorrently ludicrous Electro (Jamie Foxx channeling Richard Pryor’s role in Superman IV) and a slighted friend (Harry Osborn, played with pinache by Dane DeHaan). Why, it is assumed, make one fully formed antagonist when a series of thinly sketched villains will do instead? As Spiderman tries to balance his personal/professional life, it becomes apparent that his life as a superhero is something of a mixed bag. Shooting webs and beating baddies is all well and good – but what happens when he can’t live up to the impossibly high expectations the public and his friends demand of him? Garfield, as charming as ever, brings real goofy humour and humanity to the role of Peter Parker – and it’s his loving interactions which give The Amazing Spiderman 2 any hint of interest. In the first film, the stand-out scene involved an elated Parker literally dancing with joy at gaining the attention of Gwen Stacey – again, it’s the specter of teen love which provides Webb’s film with any semblance of soul. As Parker and Stacey playfully flirt with one another, a warmth envelopes proceedings and causes the audience to “buy” into the movie and, ultimately, the fate of its characters. A young child, filled with bravery and hope given to him by a kind-hearted Spiderman, puts himself in grave danger as he stoically confronts an evil, armed terror. It’s a scene which should represent the heart of the movie – one which shows how bravery and kindness can inspire similar sentiments in others – but is ruthlessly undercut by the cartoonish ridiculousness of the moment. The antagonist here is a balding thug in a twenty foot tall armoured rhino costume who spews out an invective of “baddie” dialogue in an inauthentic accent which sounds like a bad impression of Putin performed by a flag-waving, jingoist American uber-patriot. A moment meant to render tears or empathy is more likely to inspire sighs or laughter and, above all, dreams of a film in which Garfield and Stone can lark about, fall in love, laugh and play without the distractions of any overbearing cartoon nonsense to distract us. A Peter Parker/Gwen Stacey romance would have been delightful - sadly the "Spiderman" aspect of this film falls some way short of being amazing.